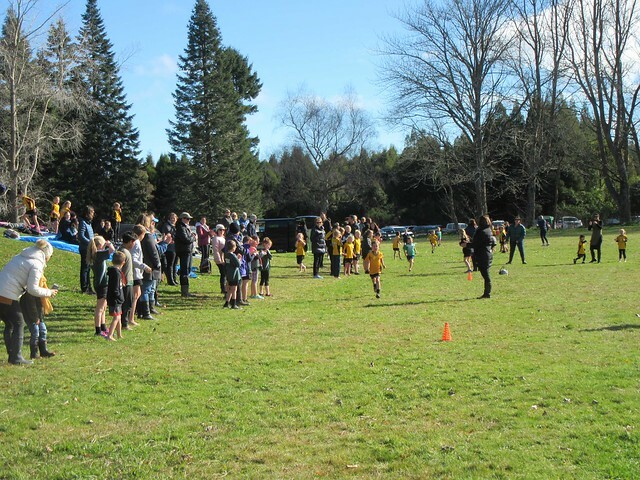 Blue skies greeted the 160 or so students that attended the Reporoa School Cluster Cross Country event last week held at the Lake Rerewhakaaitu Domain. There were 16 races across the 8 age groups for boys and girls. The top 3 from each race aged 8 and up qualify to attend the BOP Cross Country Championships on Tuesday 26th June out at Kaharoa School. Well done to all those who took part and a big thank you to the organisers from Lake Rerewhakaaitu School and the PTA.